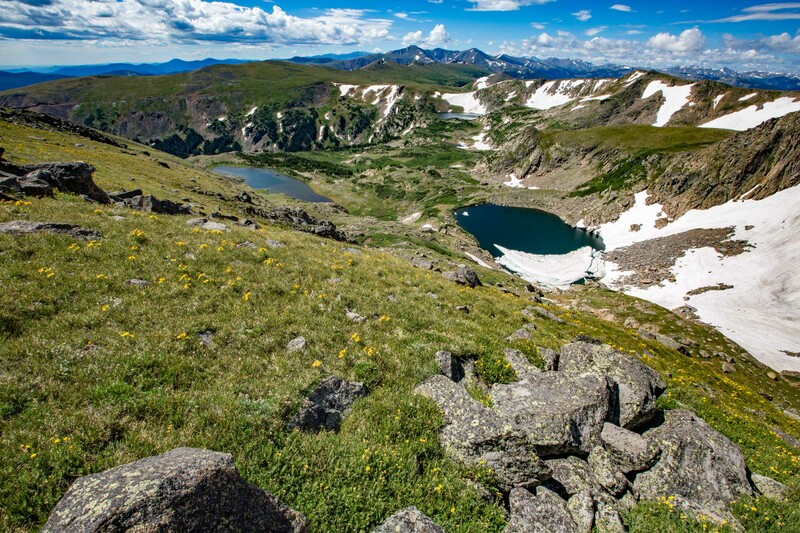 BOULDER, COLORADO (August 8, 2016) — With thoughtful foresight, the Indian Peaks Wilderness was created in 1978 to protect the area between Rocky Mountain National Park to the north and Rollins Pass to the south. 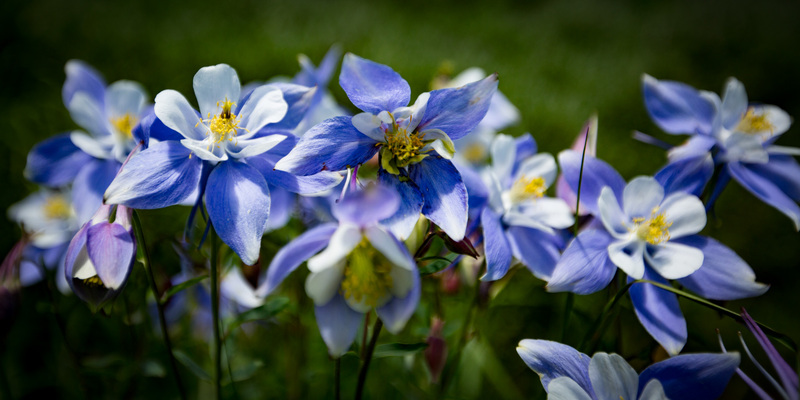 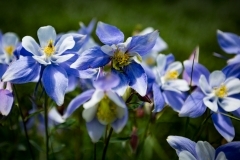 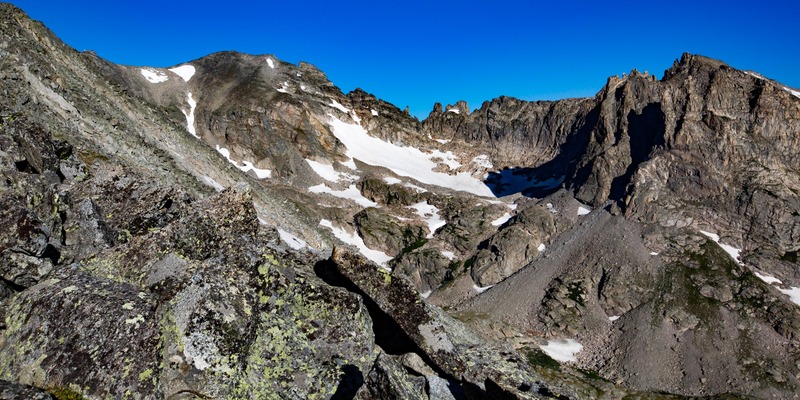 Living in Boulder most of my life, I’ve always considered the Indian Peaks as part of my “backyard” and have accumulated many unforgettable memories while exploring its trails and mountains along and below the Continental Divide. 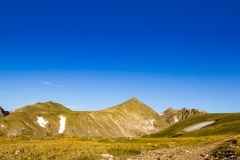 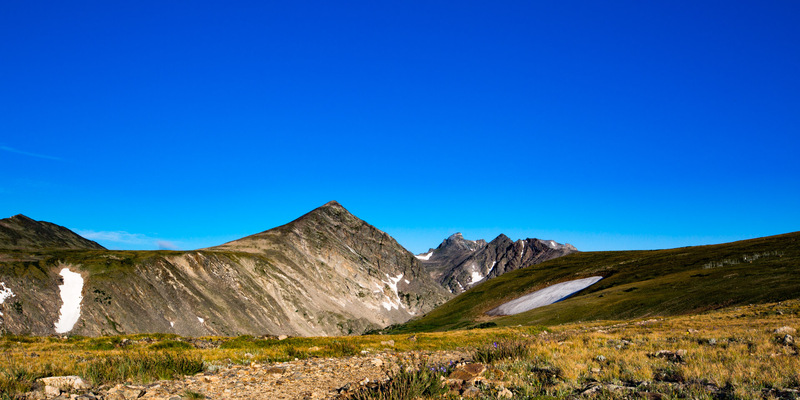 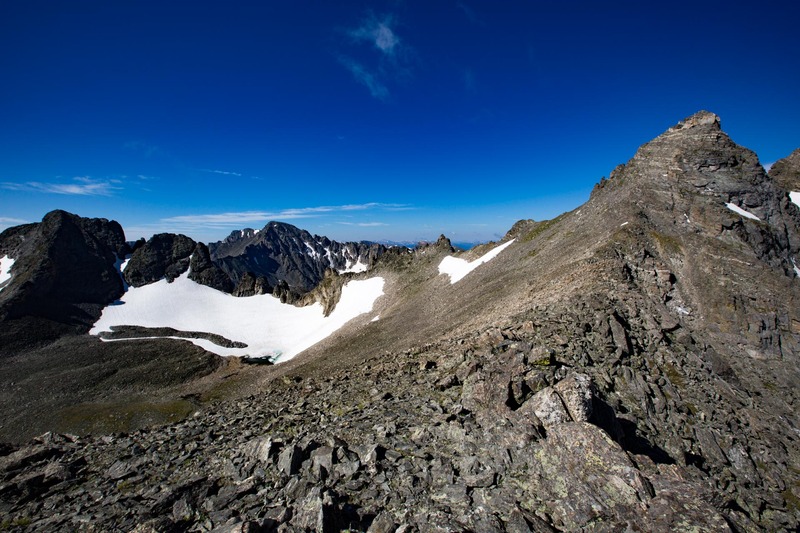 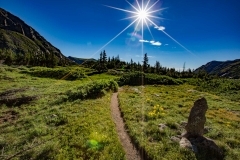 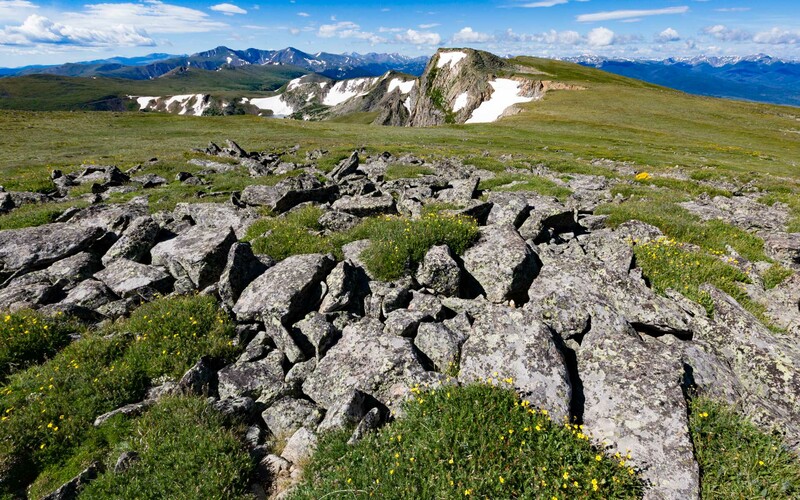 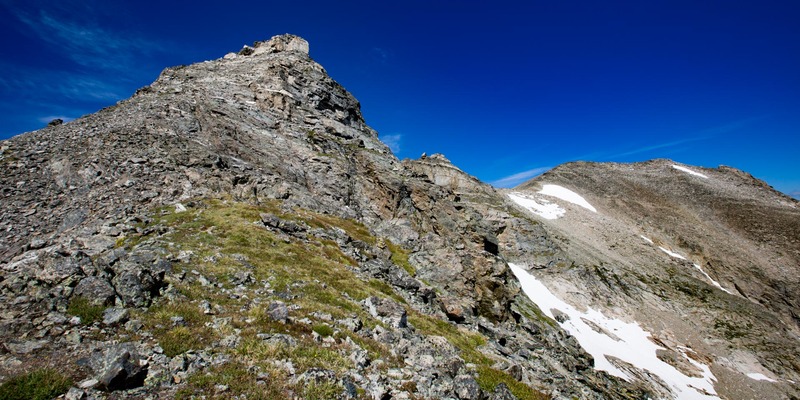 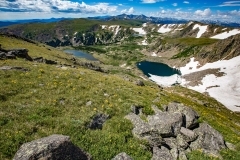 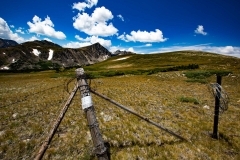 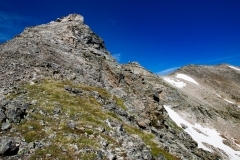 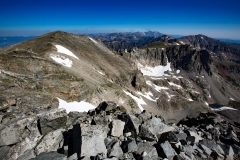 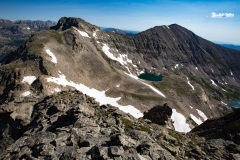 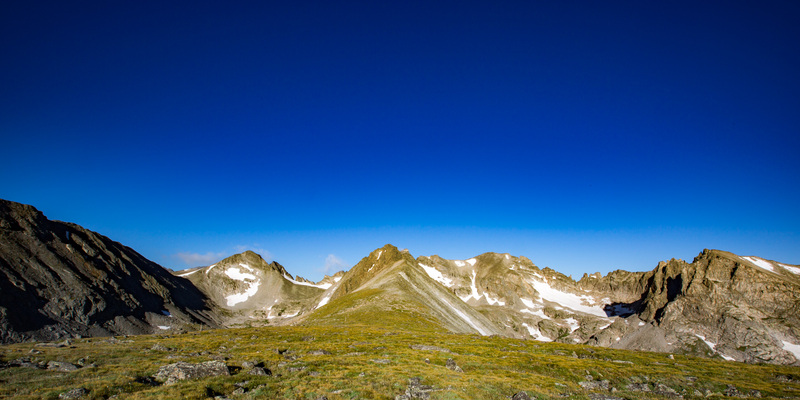 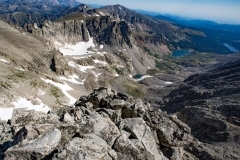 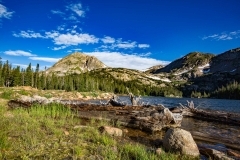 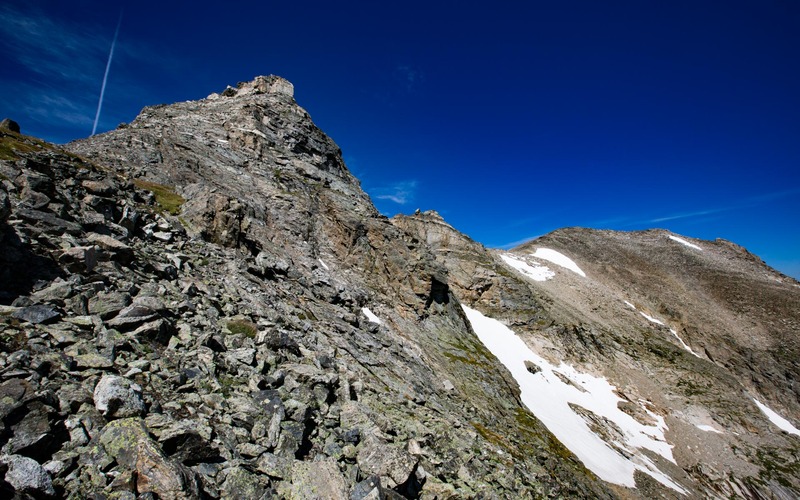 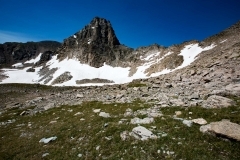 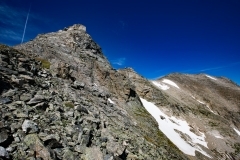 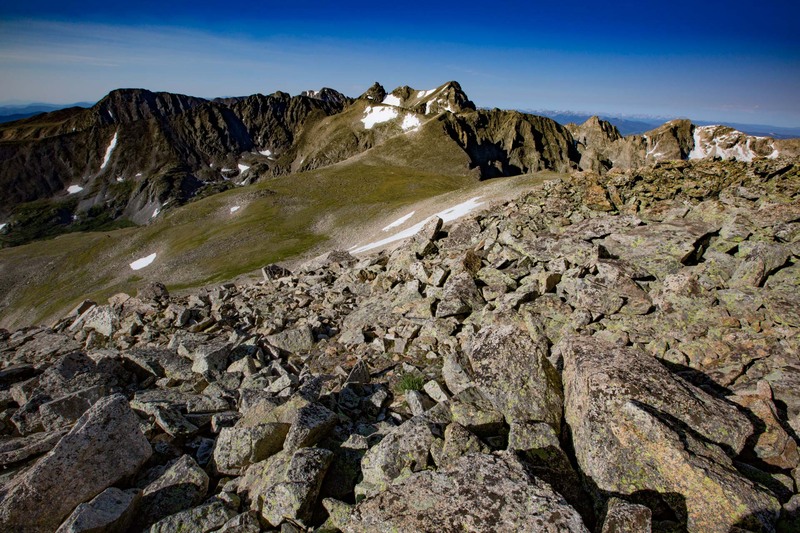 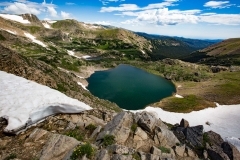 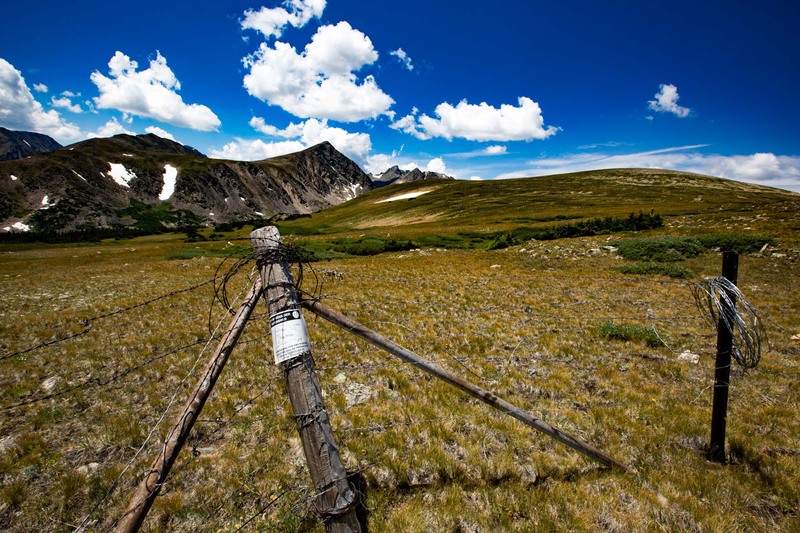 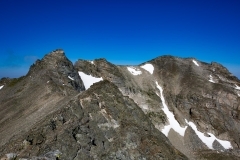 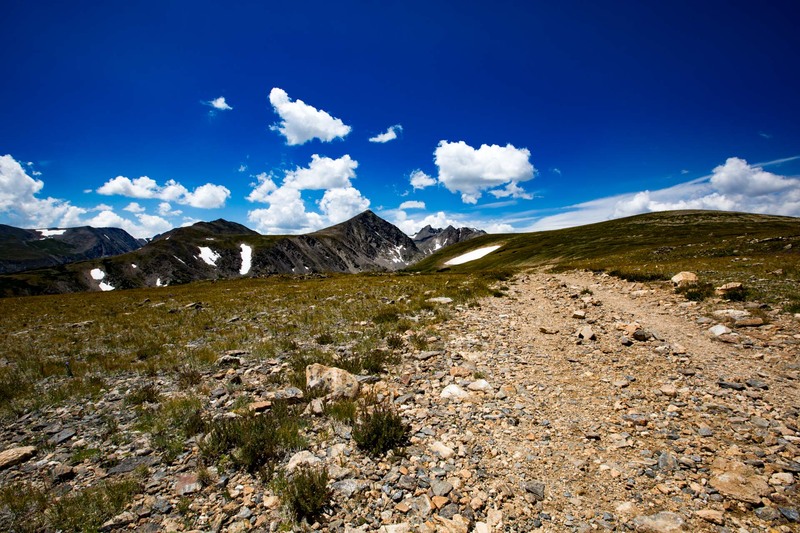 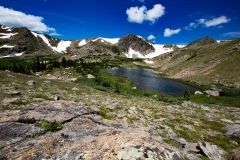 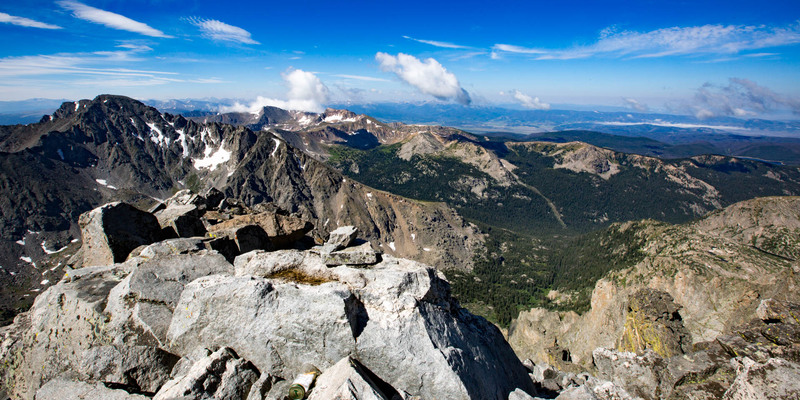 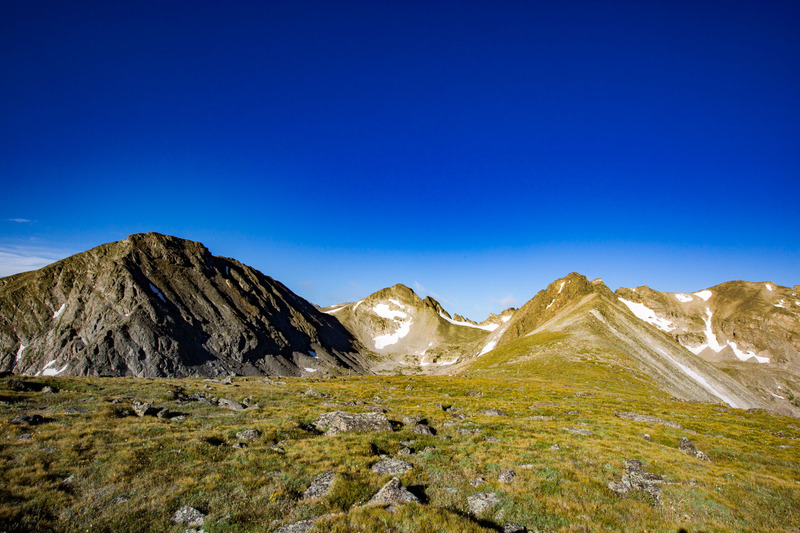 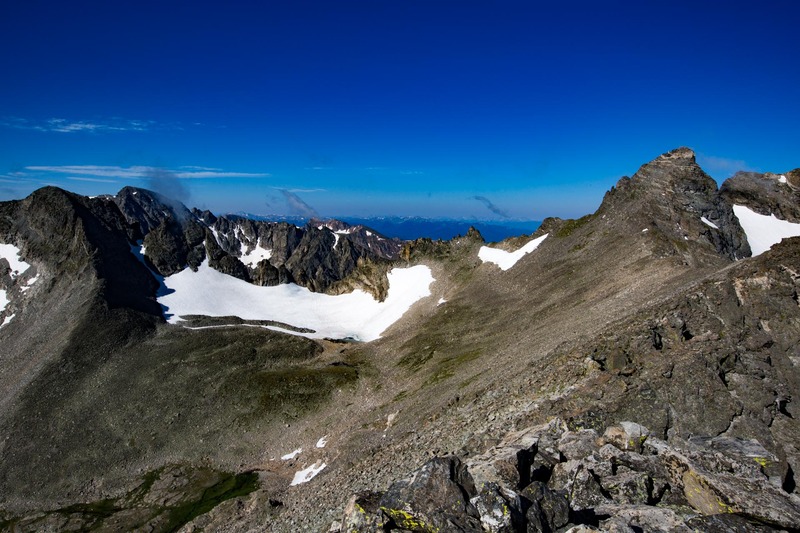 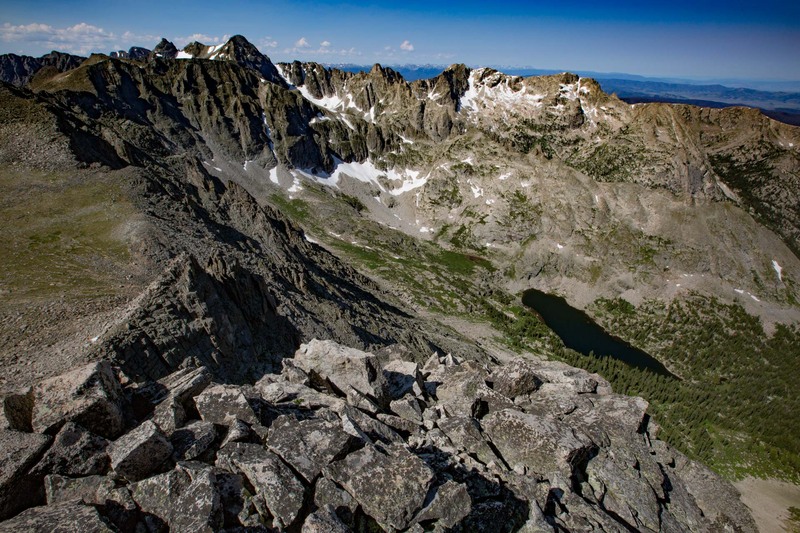 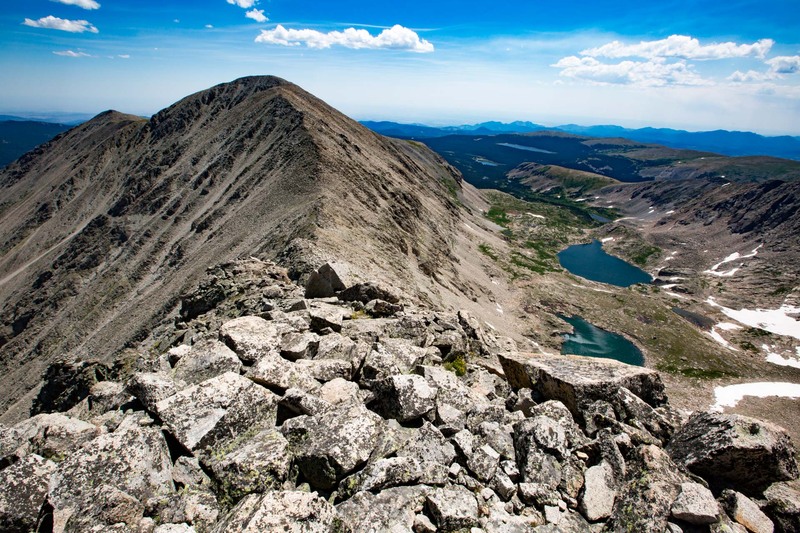 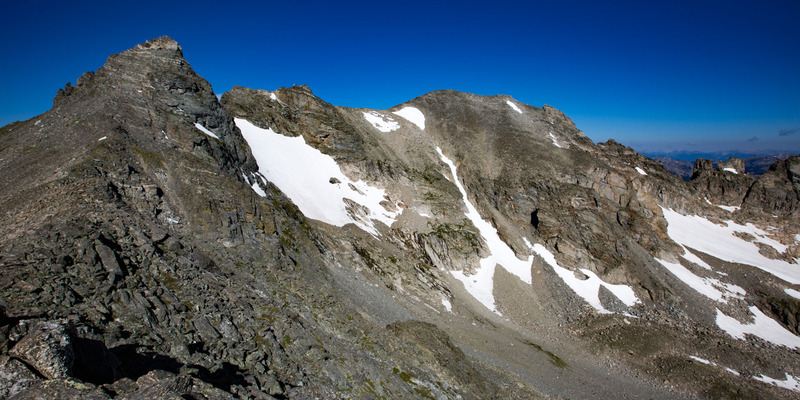 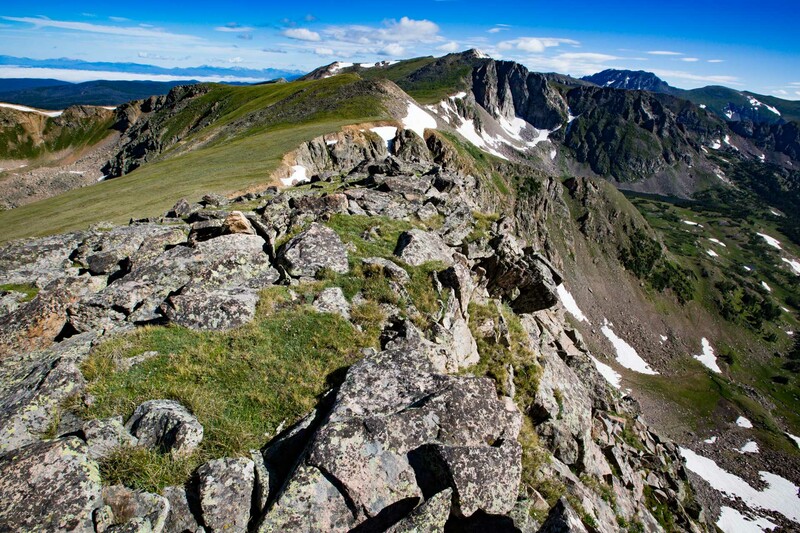 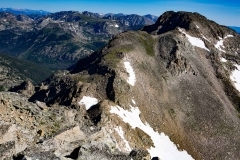 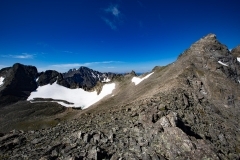 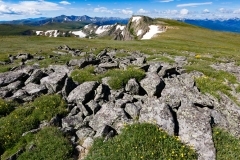 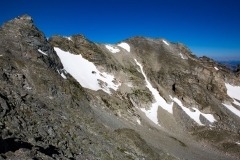 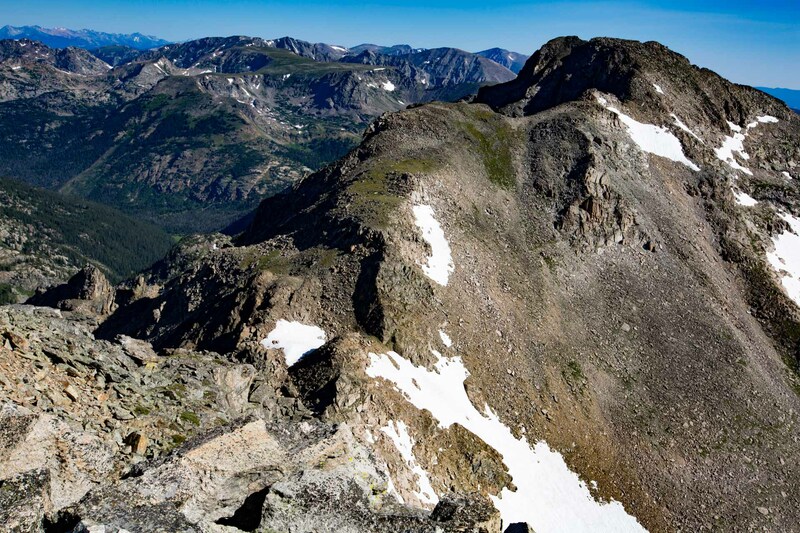 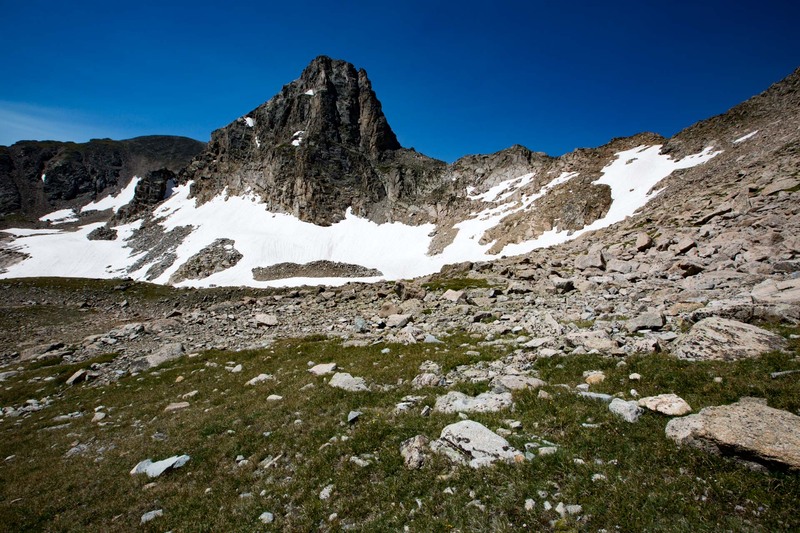 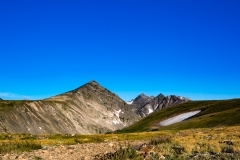 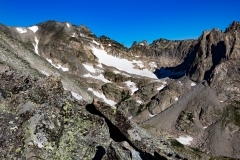 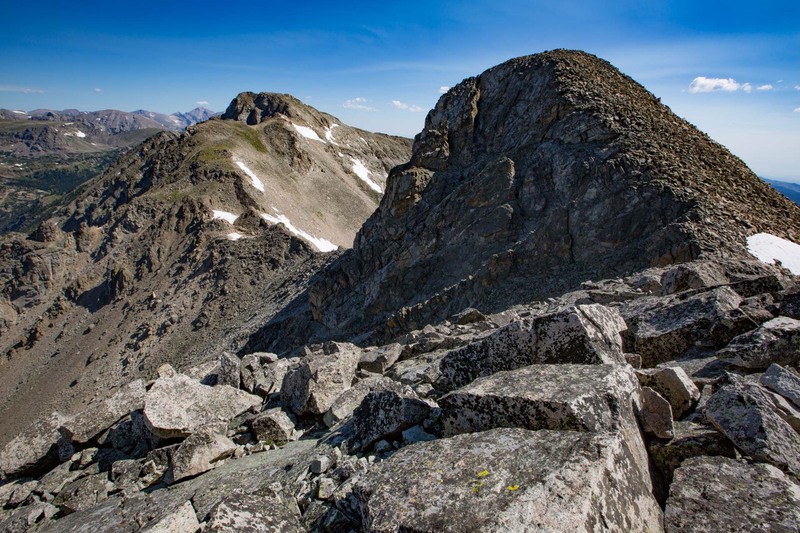 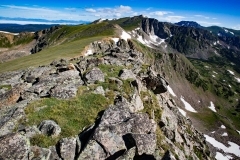 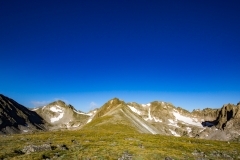 Within the Indian Peaks Wilderness lies the City of Boulder watershed, which includes Arapaho Glacier and several peaks that are off limits hikers and climbers. 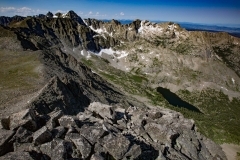 But there are still plenty of peaks to climb and terrain to explore throughout the wilderness area, which is home to 35 named peaks. 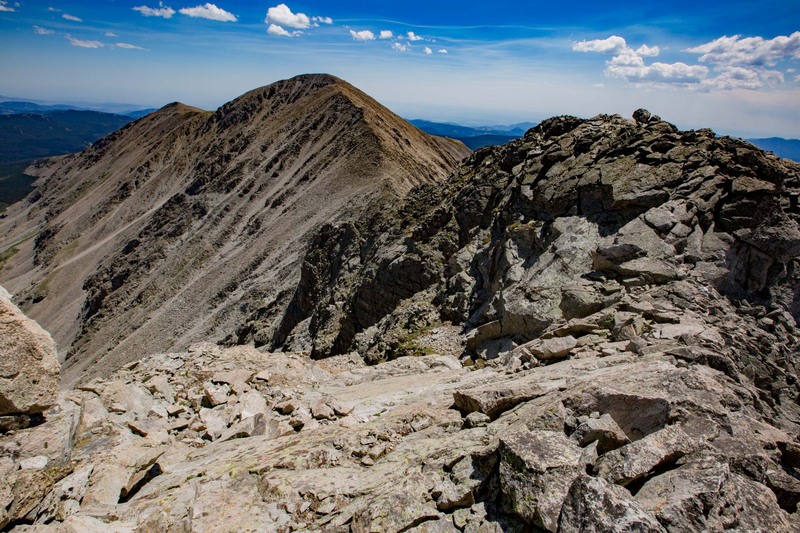 Of those peaks, 32 have elevations over 11,000 feet, 23 over 12,000 feet, and 7 over 13,000 feet. The three highest peaks are North Arapaho Peak (13,502 ft), Apache Peak (13,441 ft), and Navajo Peak (13,409 ft), with South Arapaho Peak (13,397 ft) close behind. 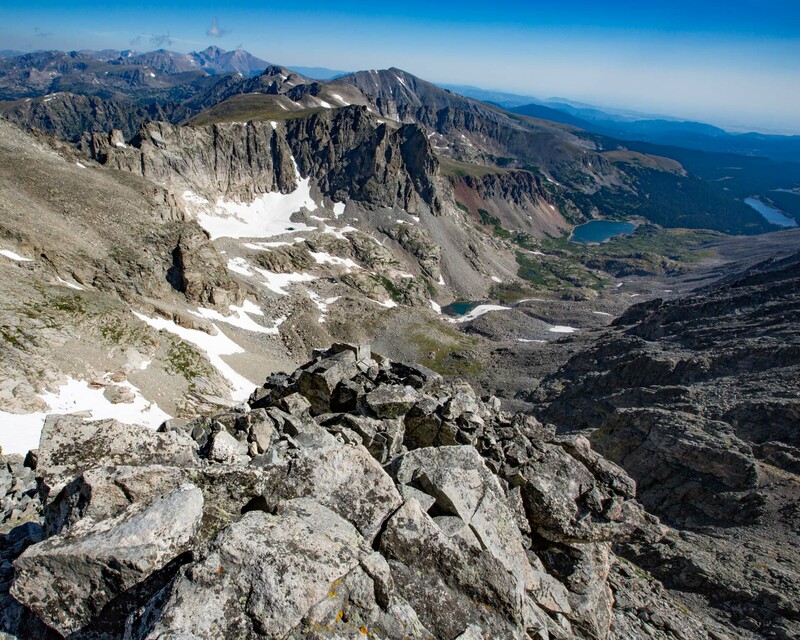 Below are some photos taken over the summer while fastpacking and scrambling along the ridges of the Continental Divide while summiting several of the Indian Peaks, including Pawnee Peak (12,943 ft), Mount Toll (12,979 ft), Paiute Peak (13,088 ft), Mount Audubon (13,223 ft), and Navajo Peak (13,409 ft). 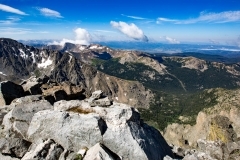 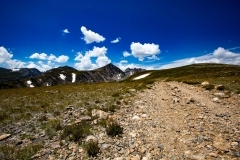 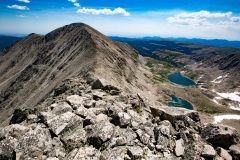 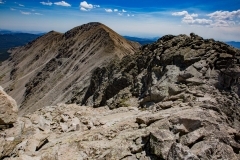 This entry was posted in Mountains, Photos and tagged Boulder, Colorado, Indian Peaks Wilderness, Mount Audubon, Mount Toll, mountains, Navajo Peak, Paiute Peak, Pawnee Peak, Rocky Mountains, running.